Scotland seriously has my heart. I can’t help but go back there again and again. There’s so much history, culture and, of course, beautiful views. On my recent Scottish trip, I stayed in Stirling for two nights. Most people just do a day trip from Edinburgh or Glasgow, but I really wanted to fully explore the small city that was important in the county’s history. There’s so much in and around the city, that it really can keep you occupied for a few days. 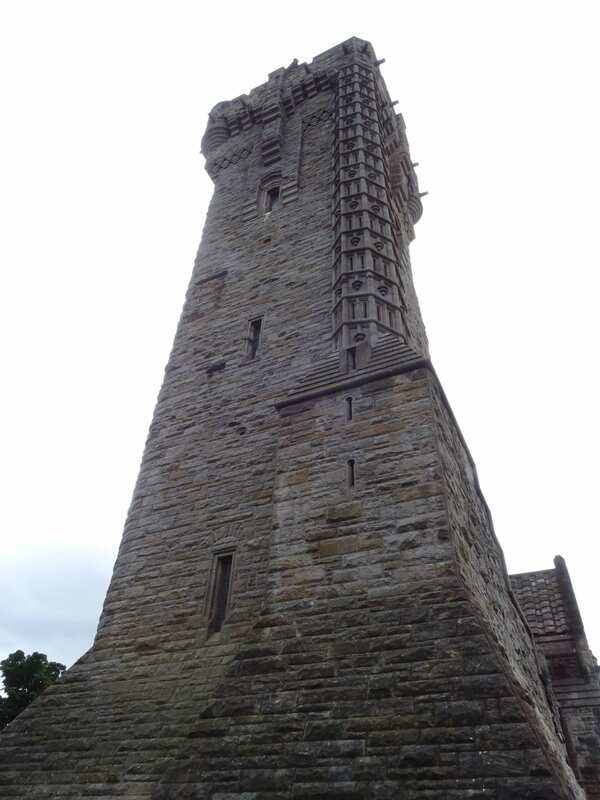 I spent a full day exploring the outskirts of the town, mainly the William Wallace Monument. One of the main attractions in Stirling is the William Wallace Monument, which is actually about 2 miles from the centre of Stirling. I decided to walk rather than get the bus, as I could take a scenic route that included a detour to Cambuskenneth Abbey. 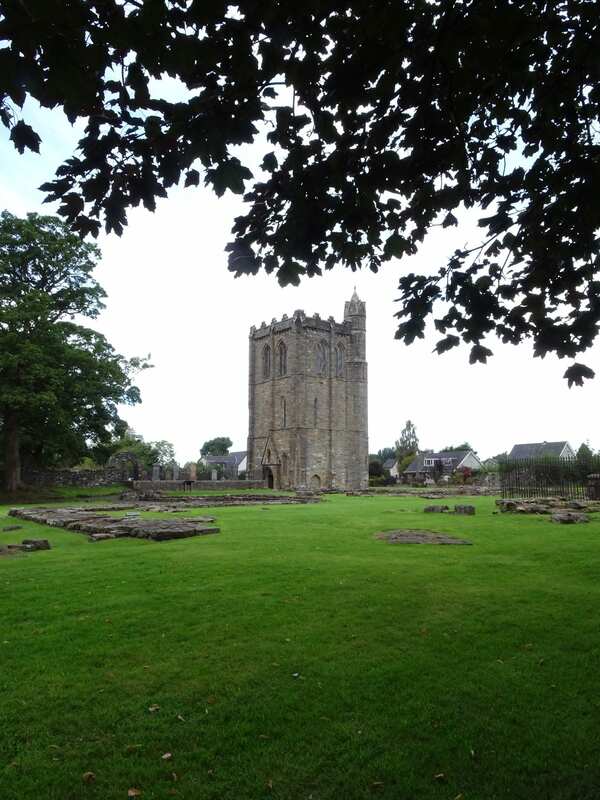 The abbey is in ruins, in fact, only the free-standing bell tower remains. The bell tower is from the 12th century and unique in Scotland. 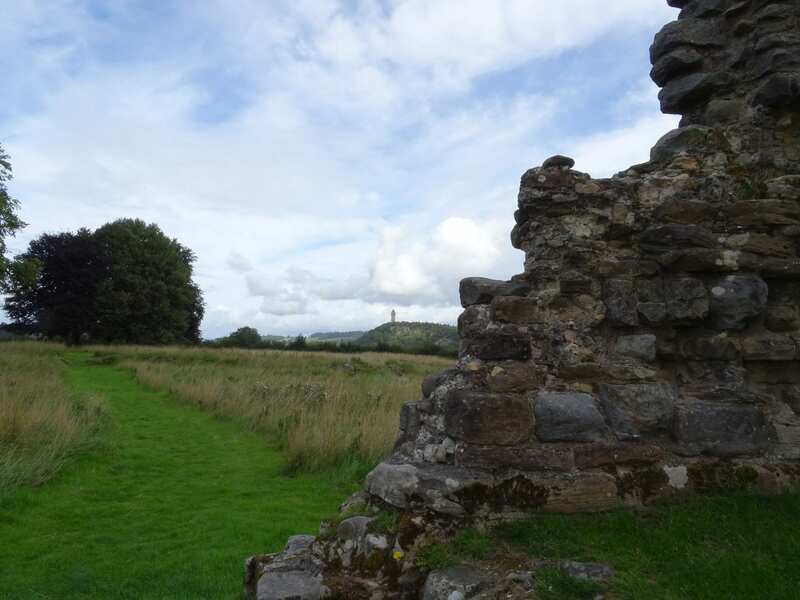 From the ruins, the William Wallace Monument can be seen. Despite its ruinous state, the abbey has a lot of history. It was here that Robert de Bruce held Parliament after Bannockburn. A couple of graves here are fenced. This is the resting place of James II and his wife. James III wasn’t a very well liked king and was killed by rebels. The rebel group that killed him included his son, James IV. Standing majestically on Abbey Craig, the William Wallace Monument can be seen for miles. The walk up to the monument from the visitor centre isn’t the easiest, but if you take the Wallace Way the journey is broken up with sculptures. 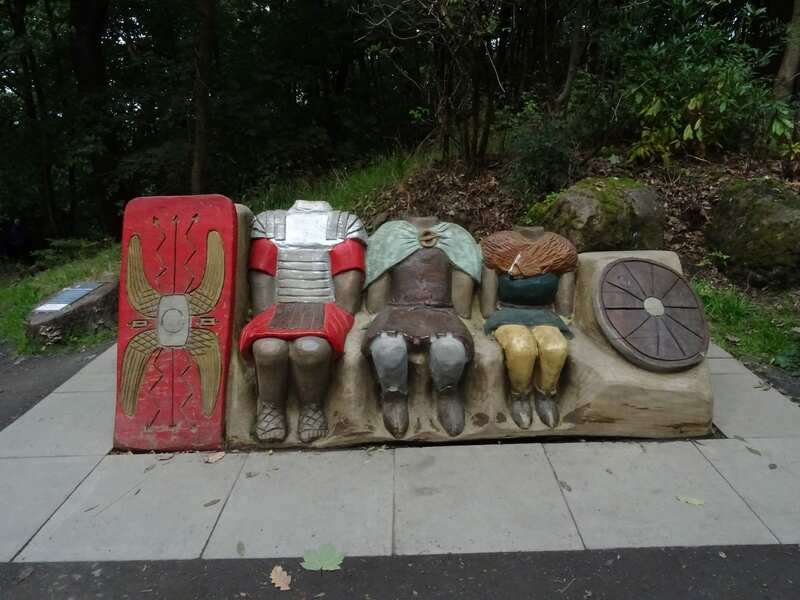 The woodcarving trail takes you from the ice age to the building of the Wallace Monument. It tells of the history of the area. It starts 10,000 years ago, at the end of the ice age. As glaciers shifted the landscape was changed, leaving Abbey Craig and Castle Hill. 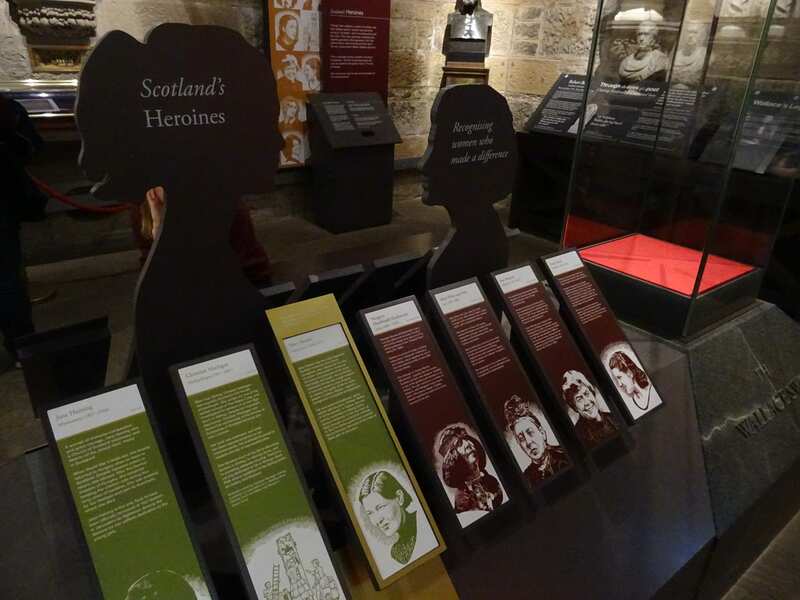 People and Invaders of Scotland shows three people from Scotland’s history. The Romans, Picts and Vikings. Each is shown in typical dress. 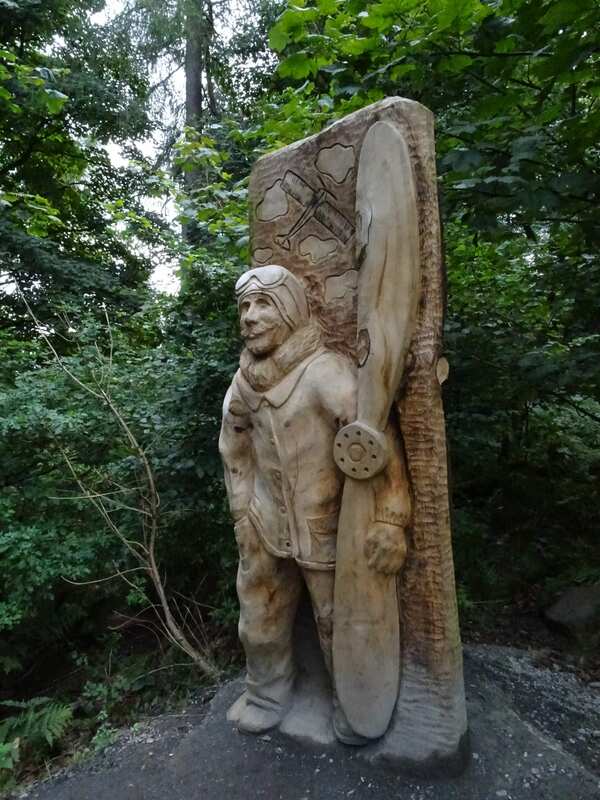 Closer to modern day is the sculpture of Scotland’s first powered flight This took place in 1909. Although the aircraft only flew 80 yards and only reached a height of 13ft, it was still incredible for the time. Once inside the monument, you discover why Stirling was so important for the defence of Scotland. Stirling was “the gateway to the Highlands” if you controlled it, you controlled Scotland. Stirling gave the lowest crossing point of the River Forth and surrounding the river, a bog. Hence why Stirling was so important. There are several rooms inside the monument and the crown. Each room has a theme, such as heroes, William Wallace and the building of the Monument. 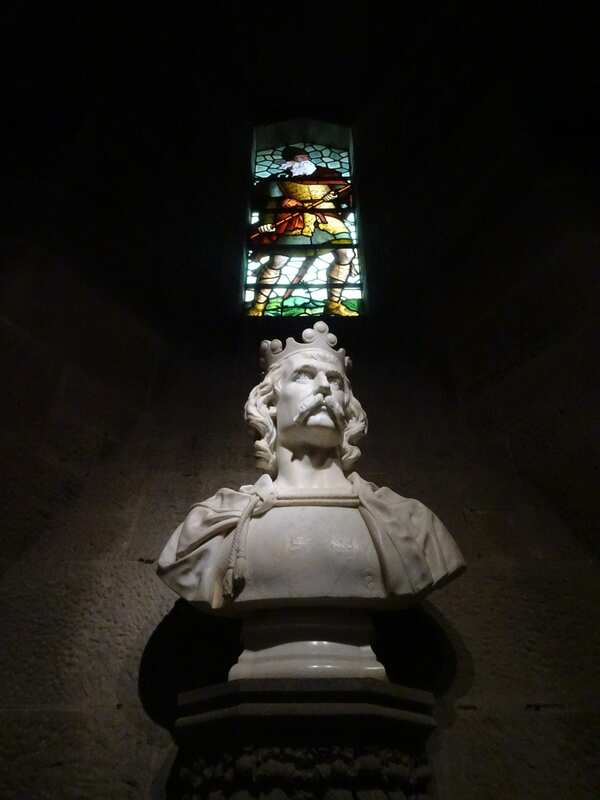 The Hall of Heroes contains busts of many of Scotland’s Heroes, such as Robert de Bruce and Robbie Burns. These two were the originals, added in 1886. Since then more and more Scotsmen have been added, such as John Knox and Sir Walter Scott. In 2019, as part of the 150-anniversary celebrations, the first heroines will be added. From a shortlist of fourteen women, from poets to doctors, who all made a difference, a public vote was taken. Two women were chosen as the first busts to be made of women. These are Mary Slessor, a Missionary and Maggie Keswick Jencks, the co-founder of Maggie Centres. Although William Wallace is now seen as a hero, during his lifetime he was not. It is only films that have romanticised his life. So he does not have a bust, however, his sword is on display. The sword is a symbol of freedom and has been used by groups to gain attention to their cause. For example, in 1912 suffragette Ethel Moorhead smashed the case to draw attention to the women’s cause. The sword is certainly impressive, standing at 1.67 m and weighing almost 3 kg. It is presented on a rock quarried from Abbey Craig when the monument was being built. 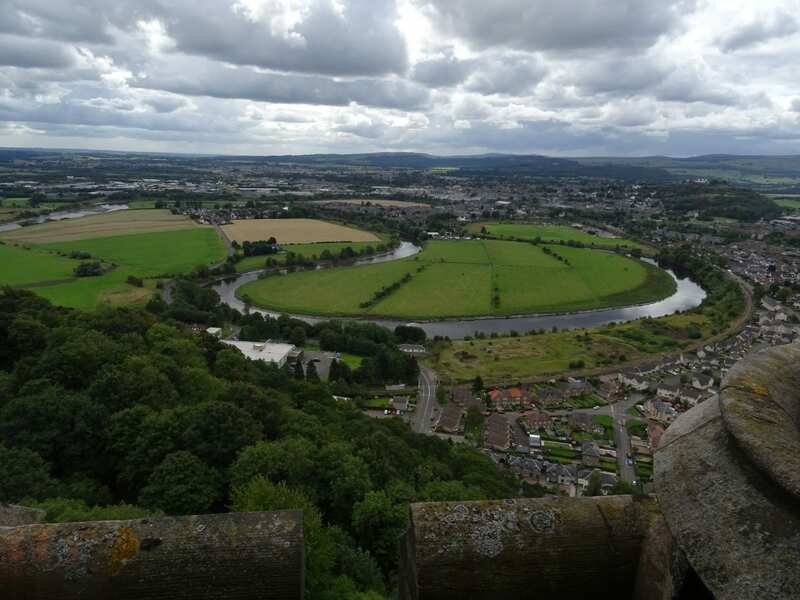 From the top of the monument, known as the Crown, there are great views of the surrounding area and, Old Stirling Bridge. You can also see the loop in the river where the massacre of the English took place at the Battle of Stirling Bridge. In 1297, an older wooden bridge spanned the River Forth a little further upstream from where the Old Stirling Bridge now stands. As the surrounding area was bog land, this was the only way to cross. William Wallace and Andrew de Moray led the Scots army and waited on the north side of the river during the Battle of Stirling. 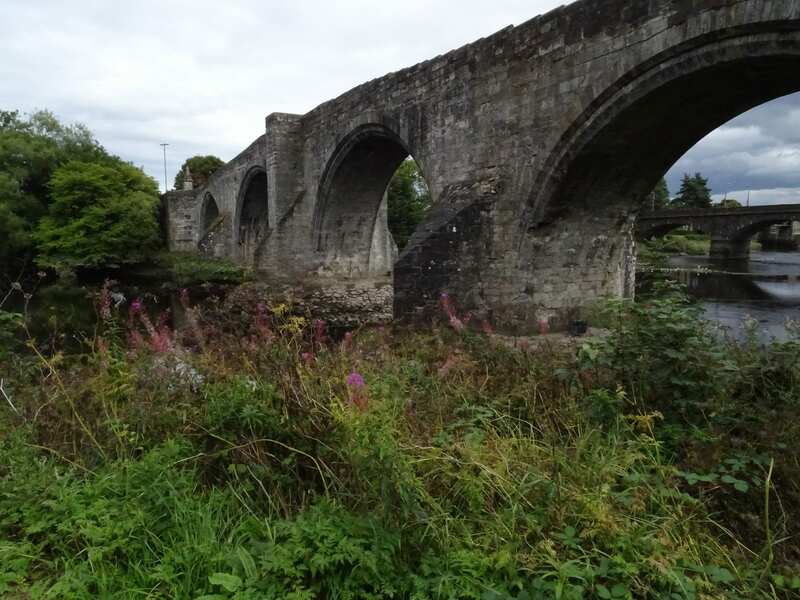 When over half the English soldiers had crossed the narrow bridge, the Scots surrounded them, which left the English immobile in a loop of the river and blocked the bridge. The English who had already crossed were slaughtered and those who remained on the South bank retreated to Berwick. Leaving the monument I took a different route back. This route took me over Old Stirling Bridge. I certainly recommend walking to and from the monument, as the circuit takes in extra bits of history. « Great British Morgan needs to check its rear-view mirror for VMW!